Elena Delle Donne, professional basketball player with the WNBA Chicago Sky and 2013 WNBA Rookie of the Year, hosted a Girls Basketball Camp for ages 9 – 18 on Sunday, December 13, 2015 at Cardinal O'Hara High School, located in Springfield, PA. The focus of these camps is to help girls to improve their basketball skills while learning the importance of loving the game! It also helps to promote the importance of creating opportunities for people without intellectual disabilities to join in the sports experience by playing on a team with athletes with intellectual disabilities. The inclusive Basketball Camp involved students from Cardinal O'Hara and Special Olympics Pennsylvania athletes from Delaware and Chester Counties: Lilly Seagraves, Jane Barnes, Abby Smeltzer, Meghan Greim, and Tamsin Hircock. Delle Donne joined the Special Olympics family as the movement’s newest Global Ambassador in support of the organization’s efforts in promoting acceptance, inclusion, respect and dignity for people with intellectual disabilities. As part of her role as an Ambassador, Elena extends invitations to Special Olympics athletes to join her at her De11e Donne Girls Camp and has worked to promote basketball development within Special Olympics, particularly among girls. On Friday, November 27th, three athletes along with their dates attended the 136th Annual Philadelphia Charity Ball. 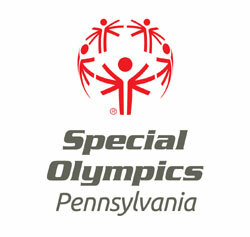 Special Olympics Pennsylvania has been the beneficiary of the Ball for multiple years, and was again the beneficiary this year. Philadelphia athletes Ian Capacio and Ally Rutizer attended the Ball along with Interscholastic Unified Sports (IUS) athlete Brandon Velez-Roa who took IUS partner, Katlyn Geist, as his date. Brandon Velez-Roa, who is a student at Abraham Lincoln High School, received the Jimmy Medal at the 2015 Philadelphia Charity Ball. The Jimmy Medal identifies and celebrates individuals who make a positive difference in the lives of others. Though their actions they exemplify the virtues of resiliency, humility, empathy and loyalty. Brandon participates as an athlete in both Unified Bocce and Soccer with Special Olympics at his school. “He is a fantastic athlete who loves competing and displays tremendous effort and attitude both on and off the field,” said his coach Michael Turchi. His peers and teachers describe him as kind, friendly, coachable and a very lovable young man. Brandon’s outgoing and optimistic demeanor has made him not only a great athlete, but also a wonderful friend and role model for all of the students at Abraham Lincoln High School. Brandon has also participated with his fellow team and classmates in the “Spread the Word to End the Word” Campaign at his school, which is a Special Olympics initiative that asks people to pledge to stop saying the “R-word” (retard) as a starting point toward creating more accepting attitudes and communities for all people. Through the “Spread the Word to End the Word Campaign,” students pledge not to use the “R-word” and instead promote respect and an inclusive climate for all students.